You are Entitled. The Margaret Wilson Library is a goldmine of free resources for College members. And accessing them is EASY. Simply go to oct.ca Members, and log in to your account. Click on the "Library" link on the right side of the page and navigate through the available selection of books, ebooks, databases, and more! 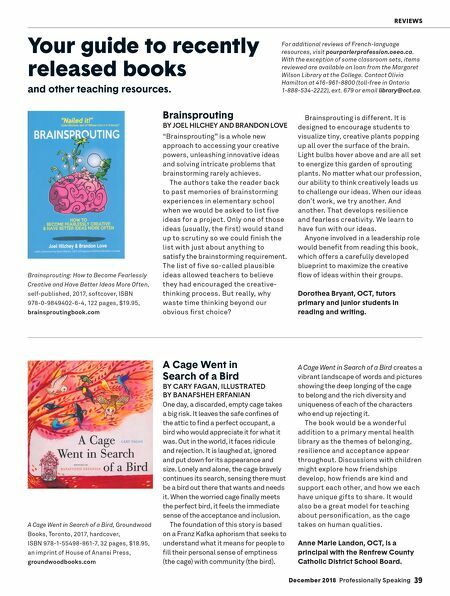 Check out what other OCTs are reading. Happy browsing! 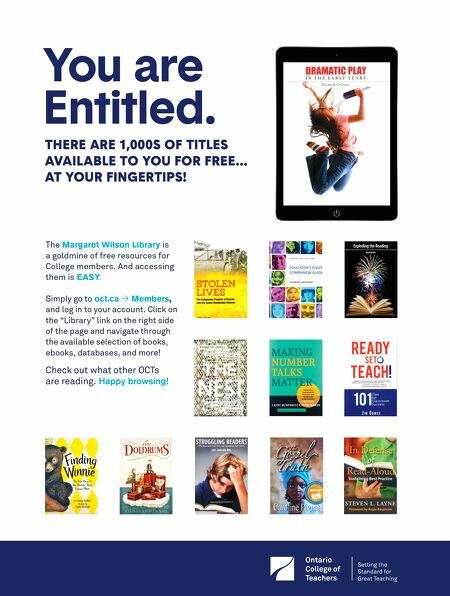 THERE ARE 1,000S OF TITLES AVAILABLE TO YOU FOR FREE... AT YOUR FINGERTIPS!